If leadership is about anything it is about alignment and alignment is about focusing energy. When “executive energy” is not focused the outcome is opposing forces: role confusion, workplace conflict and resistance to change. Consultant and Executive Educator, Marlene Chism addresses these opposing forces in the Meet You Where You Are Leadership Forum. The Meet You Where You Are Leadership Forum is not a workshop and not a lecture. 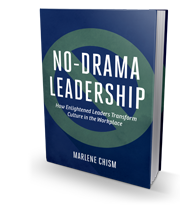 In this forum, Marlene Chism offers techniques, mindset-tools, and communication frameworks from her two books (Stop Workplace Drama, and No-Drama Leadership) that can be practiced immediately. Below are some of the key concepts and common topics that emerge in the forum. Perfect for executive retreats or onsite development days. As added value, within two weeks of the leadership forum, Marlene Chism offers a briefing to senior leaders for the purpose of sharing observations and recommending next steps when applicable. Ready to explore? Email here or call 1.888.434.9085. Marlene provided a Meet You Where You Are program for our franchise owners. 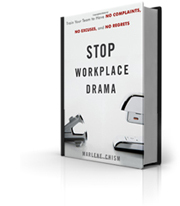 The owners took away real world action items to dramatically increase productivity and leadership efficiency. The two hours literally flew by. Thank you Marlene! Your seminar was absolutely everything I expected and more!!! I have heard nothing but wonderful comments. Great leadership session. 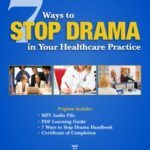 Drama, which is part of every business is something that you can overcome if you learn how to understand where conflict comes from and how you can turn it into constructive interaction.